This article features one of our clients, PhysioDC, a physical therapy rehabilitation clinic located in the heart of Washington, D.C. Visit them online at www.physiodc.com or call them at (202) 223-8500. 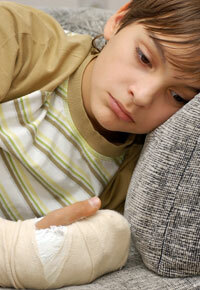 Typically, orthopedists recommend keeping a broken bone in a cast for between four and six weeks. During that time, the cast must be treated with care, meaning kept dry and free from bearing weight. While the cast is on, the fracture line will have a chance to naturally fill with cartilage, which stabilizes the area. Eventually, the cartilage will be replaced with new bone which will, in turn, be able to bear the normal activities of life. Once the cast is removed and the patient returns to everyday life without that unsightly accessory, the patient may struggle with transitioning back to normal functioning of the area involved. Even with the doctor’s permission to bear weight on the troubled area, doing so can seem counter-intuitive after a month or longer of trying hard to favor the affected bone. For those experiencing that kind of conflict, the following ideas may help. 1. The fractured area — whether it’s your arm, leg, or another bone — is part of your body. It should be treated as such, not as if it’s a foreign object. Even though it may be tempting to protect it as if it is still fractured, doing so can actually be counterproductive. If the injured area is your leg, practice walking without limping, even if you have to walk more slowly than usual, at first. If it’s your arm, practice walking while swinging your arms normally. 2. Realize that flaky skin and strange hair growth is to be expected in the area that was in the cast. You’ll want to take a bath and clean the skin thoroughly. You may even want to drain the tub and then refill it and wash again, in order to slough off as much dead skin as possible, to help you get back to normal sooner. 3. Sometimes skin from the cast site becomes overly sensitive. You can help alleviate this issue by rubbing it with a towel, tapping it with the head of an eraser, and gently putting pressure on the skin with your hand, from time to time. If the area suddenly swells or becomes hypersensitive, you’ll want to let your doctor know. 5. 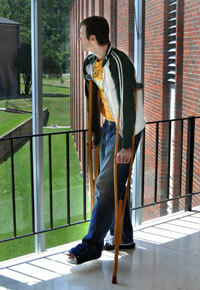 You’ll want to check with a physican to make sure the surrounding joints are functioning properly. All joints connected to the area that was fractured can have trouble recovering. Returning to normal mechanics is crucial; improper movements can cause injuries to other areas of the body, possibly creating long-term problems.